A few weeks ago, I was invited by Wasamedia to celebrate the opening of PappaRich Carousel, which followed after the opening of PappaRich Northbridge in September. I remembered Matt and I had a huge feast when we were at PappaRich Northbridge and went home feeling very full and satisfied after. During this event, I was joined with fellow bloggers and our celebrity host, Poh Ling Yeow from Masterchef Australia Season One and her own TV show, Poh’s Kitchen to celebrate the opening of PappaRich Carousel. We started off with some drinks and I had the Matcha Rocks. 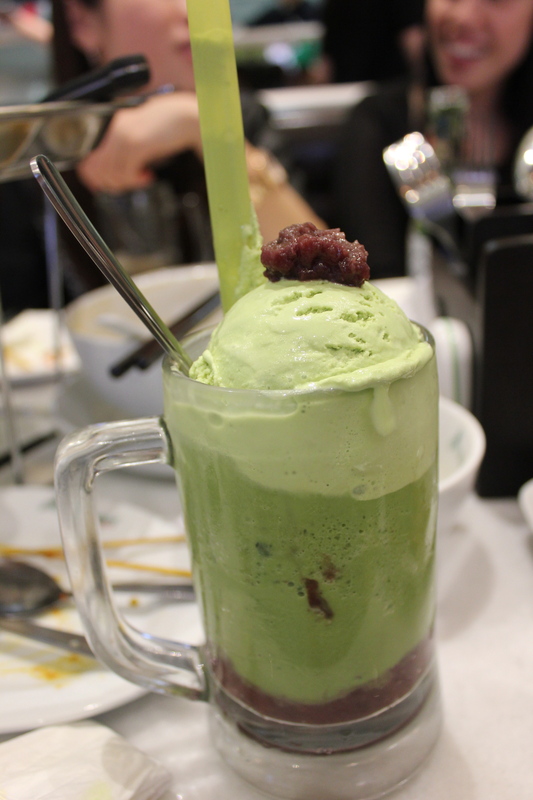 I have been wanting to give this drink a try and I finally did during my visit at PappaRich Carousel. The Matcha Rocks was thick and creamy with a lovely matcha or green tea flavour in combination with the sweetness from the red beans. While having our drinks, we had an opportunity to have a chat each other and also, with the lovely Poh with some photographic opportunities too. To start off, we had some Deep Fried Chicken Skin and Satay Chicken. 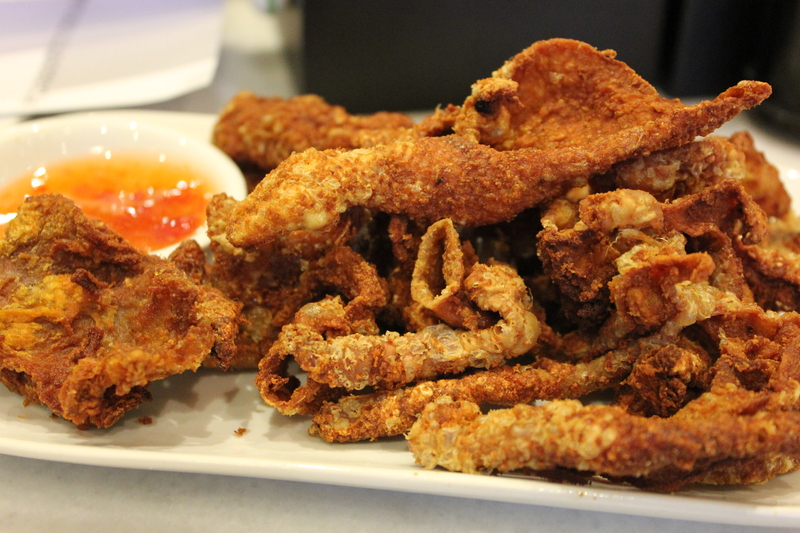 The Deep Fried Chicken Skin was crunchy and crispy with a touch of oil. 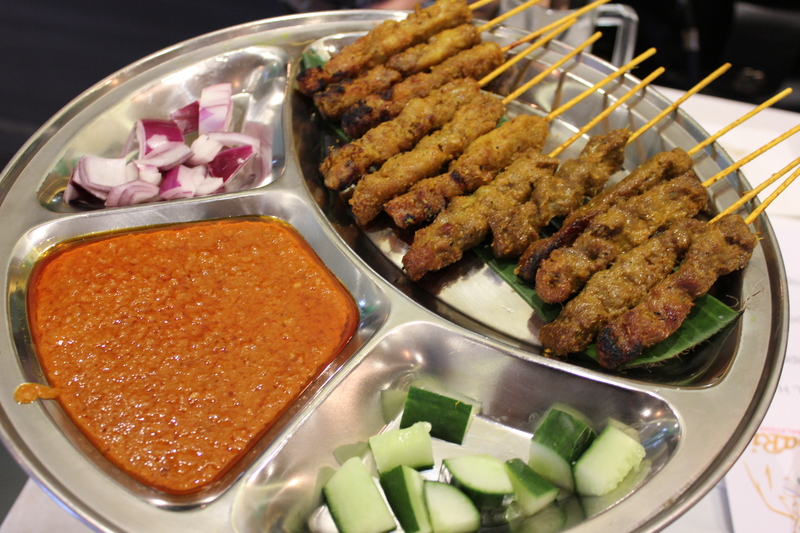 I also had some of the Satay Chicken which was accompanied by cucumber, red onion and a chunky peanut sauce. The Satay Chicken was smoked well, tender and full of flavour. We had more food brought to our long table – some of them were the Pappa Fried Mee, Pappa Special Nasi Lemak to Roti Canai with Beef Rendang. 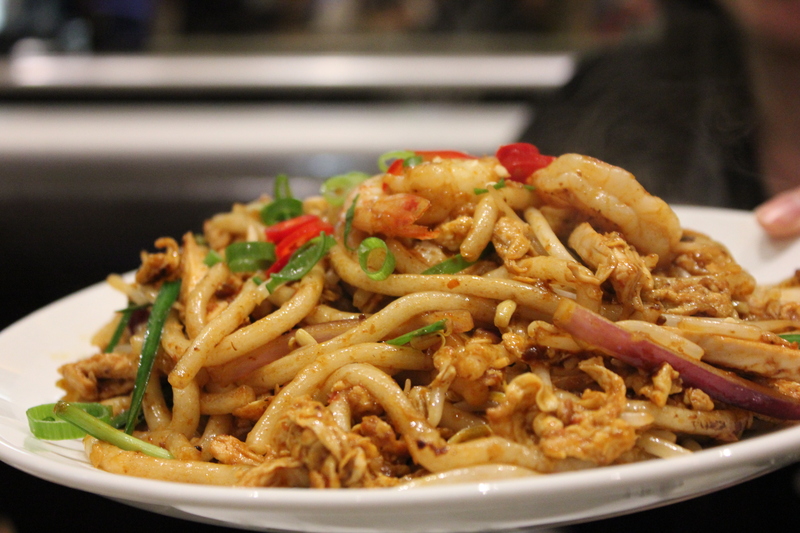 The Pappa Fried Mee was deliciously smokey with a great punch of flavours from the noodles and ingredients. 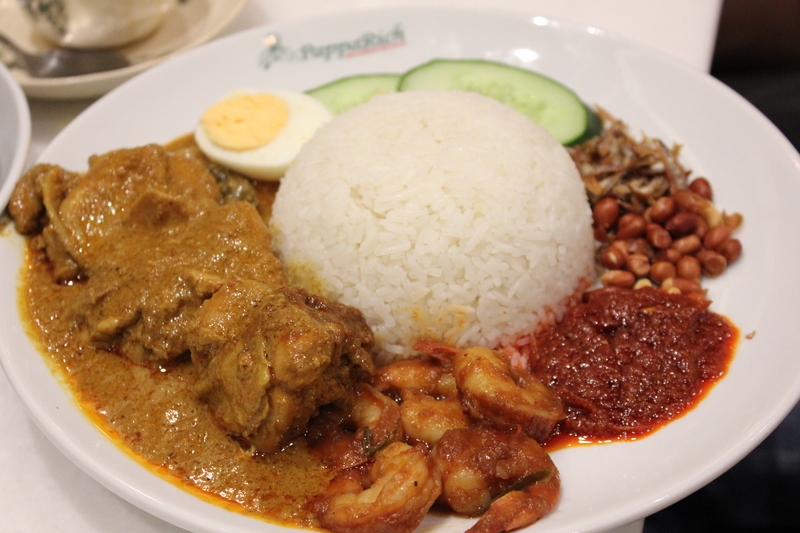 My favourite dish in PappaRich will still be the one and only Pappa Special Nasi Lemak with Curry Chicken. It was consistent with the nasi lemak I had during my visit at PappaRich Northbridge where the rice was fragrant, the sambal was a good mix of sweet and spicy and the tender and juicy chicken lathered in delicious curry. 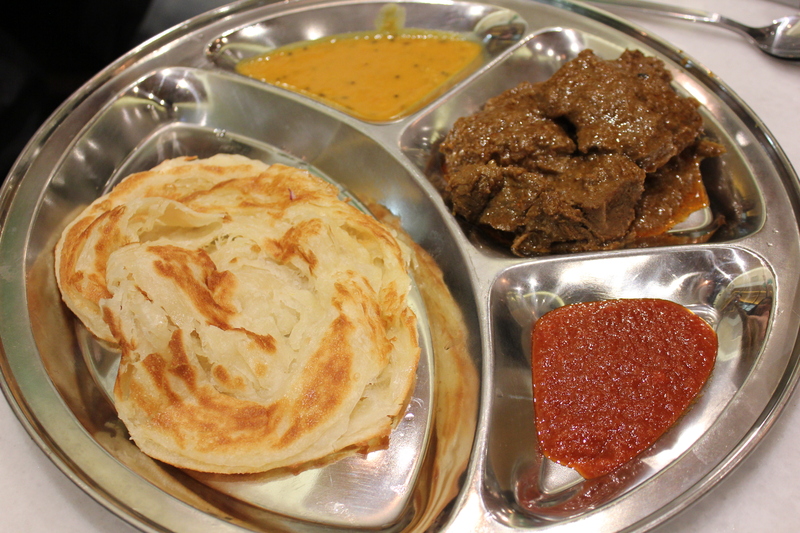 I also enjoyed the Roti Canai with Beef Rendang which came with spicy chilli sauce and dhal as the accompaniments. The roti was soft and fluffy surrounded by crispy edges, complementing well with the accompaniments and the tenderness of the beef rendang. 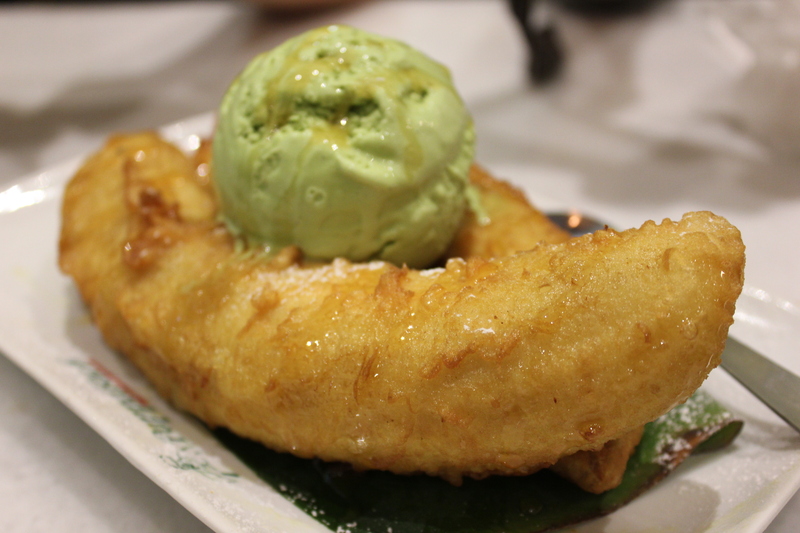 For dessert, we had ABC with Ice Cream and Banana Fritters with Green Tea Ice Cream. The ABC (Ais Batu Campur/”Mixed Ice”) was a refreshing finish to our feast. 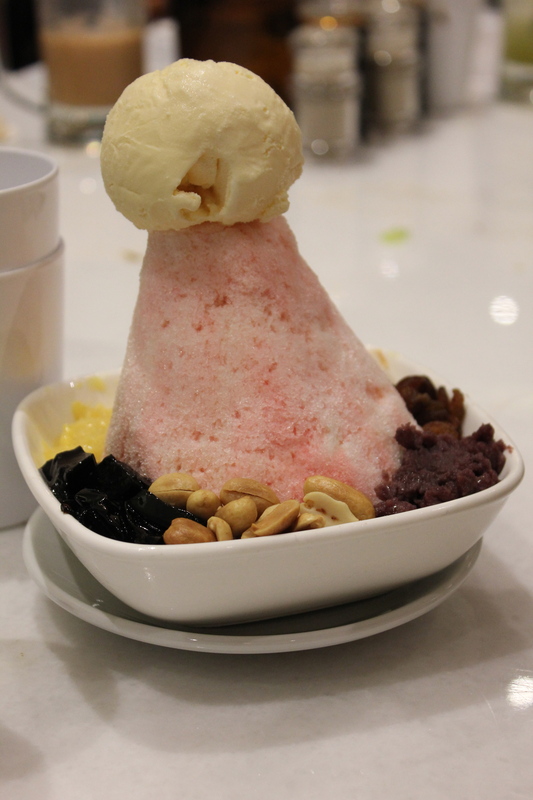 It was presented with a mountain of ice topped with Vanilla Ice Cream and in the bowl, there were red beans, peanuts and black grass jelly at the bottom of the mountain – your usual ABC ingredients. I had a taste of the banana fritters and it was crunchy, with a light and fluffy batter on the outside. 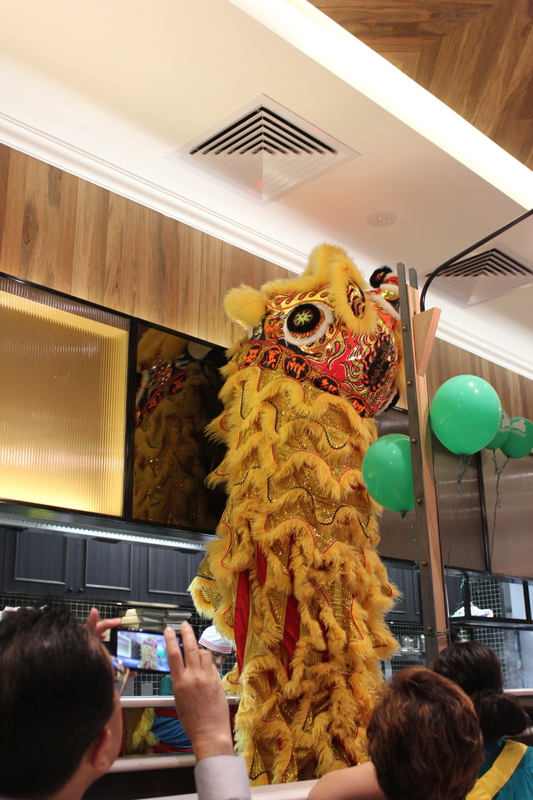 Apart from indulging in the delicious feast offered to us at PappaRich, we were also treated to a Lion Dance and drumming performance to celebrate PappaRich Carousel’s opening. 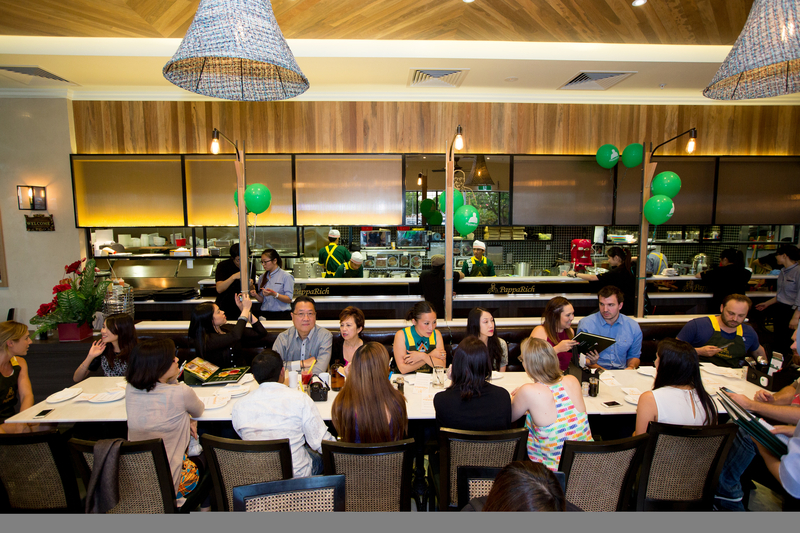 It was a big celebration and there were so much liveliness around the restaurant. And yes, there was also a DJ outside and lots of balloons around too! The food looks amazing! Poh is so lovely, it must have been wonderful to meet her!